Requirements – Safety lifeline, Mesh Fixing and Safe Access identification to Rooftop is the main activity before starting of Actual work. Identification of area for installation Scissors lifts for shifting of material to the roof without disturbing any production and other activity of the plant. Boom lift location used for manpower transfer. Clip-Lock technology is used for installation of Module on Roof to avoid Puncturing. 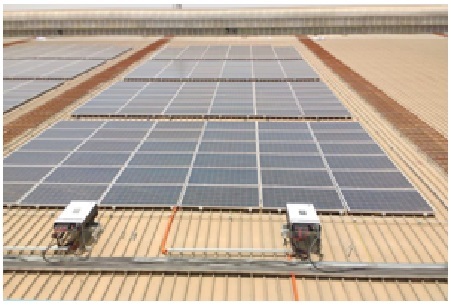 Energy Requirement: Solar plant will generate 50 % of the energy required for the plant.